Picture the last time you had a health-related appointment. Did you have to wait in the reception area for more than 20 minutes? What about when you made it to the room to see your physician, how much time was consumed there? More often than not, the time you invested waiting for the doctor took longer than the amount of time the physician took to see you. This culture of not only meeting but exceeding customer expectations is necessary for today’s market, as healthcare is increasingly turning into a satisfaction-based model. If a patient is not satisfied with the service and results, they are not going to come back. So how does Lexington Podiatry measure their progress as they work to meet the demands of a changing industry? The answers lie in a visual dashboard using Klipfolio. It started with an online survey being sent to patients after their appointments through email. The survey was introduced as a means to ethically get reviews and earn trust. Since then, it has become the backbone of Lexington Podiatry’s patient-first culture. They use CampaignMonitor as their email service provider to invite the patient to participate in a brief online customer service survey hosted by SurveyGizmo. The survey results are then fed into a Klipfolio visual dashboard to be parsed and easily viewed daily. The survey-results dashboard helps them look at trends over time. For example, they immediately know if they are having a problem with long waits in the exam room and can then pinpoint where the problem stems from. They then immediately know how to fix it, such as adding more staff or cutting back on appointments made available when they are short of staff due to vacation or a new person in training. Changing the Way Podiatric Medicine is Practiced. The medical protocol for Lexington Podiatry may not change, but they are on their way to changing the healthcare industry with their patient-first culture and providing exceptional service. In addition to the low wait time, they made a commitment to see certain cases such as infected ingrown toenail and diabetic open wound cases the same day to help reduce the severity of the issue. Every Tuesday, the administration team (doctors, providers, billing, IT, marketing and HR) meet to review the survey-results dashboard and how to pivot if needed. While the national average for wait times is much higher, they have committed themselves to several "Moonshot Goals" that are reflected in their klips. As shown on the klip to the right they are "shooting" for 10 minutes or less for reception wait time, but are achieving between 3 - 4 minutes for most providers. The outliers really stand out and everyone works to improve for next week. During the first phase of the survey, Lexington Podiatry found that the appointment process was frustrating for the client. Elise believes that the implementation of Klipfolio has helped steer everyone in the right direction and make informed decisions about how the practice is run. For example, after reviewing their Klipfolio dashboard, Lexington Podiatry realized additional health providers were needed to meet the demand of the appointments requested. Their culture of patient-first has increased convenience, and Lexington Podiatry now offers text messaging as well as online booking to make an appointment. In addition to the survey-results dashboard, Lexington Podiatry uses a separate visual dashboard to track financials such as expenses, collections, and to set new financial goals to ensure the practice remains profitable. The dashboard allows everyone from the top down to see the importance of adopting the culture. It has become a part of who they are as a company. One of the most important questions anyone can ask themselves is: “What can I do and what do I like to do?” Knowing the importance of a strong culture, Elise is very hands-on with all employees. “We have culture conversations (currently a series of seven) as part of the new hire onboarding plan. They come in and talk to me each Friday about a different session topic and during that time, on one of the Fridays, I take them out to lunch personally,” she says. Can there ever be too much continuing education and training? John Calipari, Basketball Coach at the University of Kentucky, immediately comes to mind for Elise: “He never stops coaching, even if they are winning.” She asks herself “How much is too much?” Elise and her administration team talk about a finite amount of things to get them where they need and want to be. 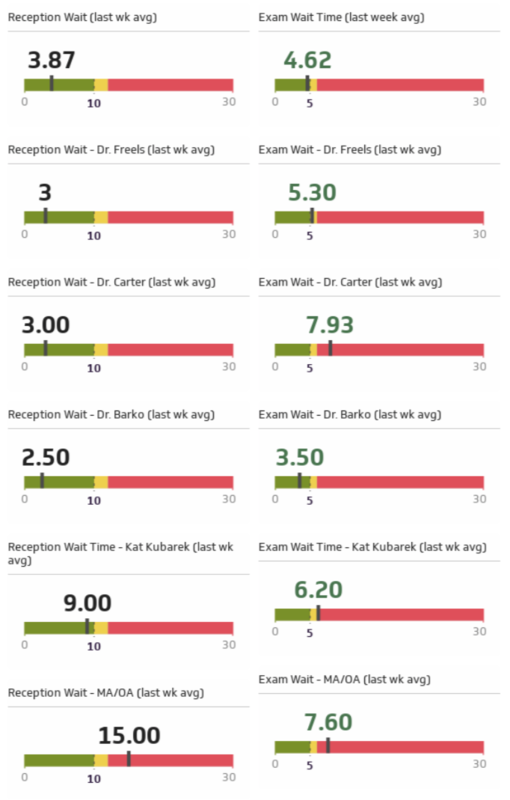 They’ve realized they slack off on being rigid on some things that don’t matter and become super tight on what does matter to their patients—like the details found on their survey-results visual dashboard. If you would like to see their patient-first culture in action follow the LexPod Squad at Lexington Podiatry on Instagram, and YouTube. They are making a huge impact by answering common podiatric questions and concerns in a captivating way through video. 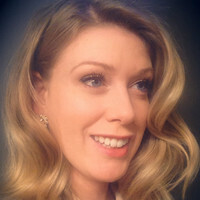 Lisa Wester is the founder and Chief Engagement Officer of RootedElm, an email marketing agency in St. Louis, MO. When she’s not analyzing data, refining email marketing campaigns and sharing newfound knowledge, Lisa can be found practicing yoga, pilates or in the company of her family, including two active daughters, a marathon-running enthusiast husband, Mutt Messi (who lives up to her nomenclature) and Herman Tortoise, named Francis. Lisa has used Klipfolio since 2013. You can find her on LinkedIn and Twitter. You can read more about her work on the RootedElm blog titled The Grove.